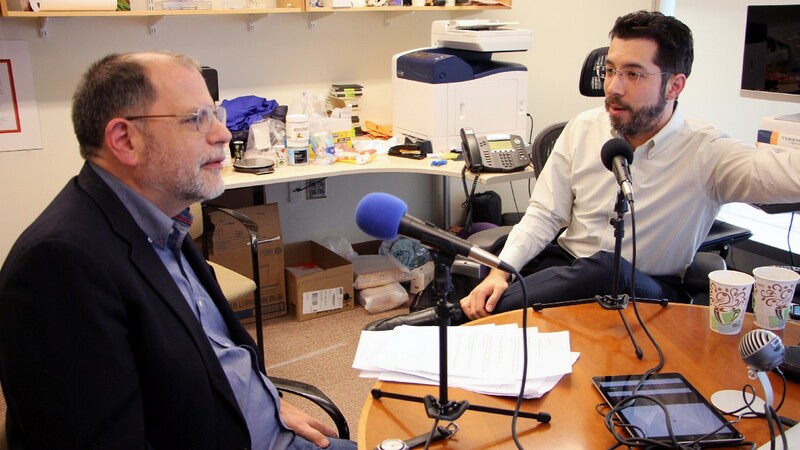 TYLER COWEN: I’m here today with Ed Boyden, who is a famous neuroscientist at MIT. There is much more to say about him, but he’ll do some of that explaining himself. Before we get to what you’ve done, let me just toss out a few general questions that the audience might be interested in. If I were to read all of the good popular books on brain science, what is it that I’m still most likely not to understand? 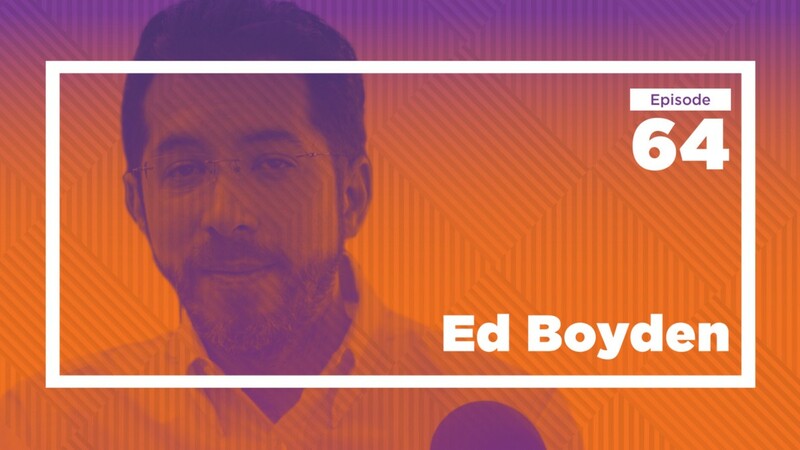 ED BOYDEN: I think something that people don’t appreciate is how little we know about the brain. If you think about brain diseases, like Alzheimer’s and Parkinson’s and epilepsy, basically none of these can be cured, and the treatments — if they do exist — are very partial and have a lot of side effects. Similarly, we don’t actually have theories — detailed knowledge — enough to make predictive, interesting models, for example, of how we form emotions, of how we make decisions. I sometimes half-jokingly say we should write a book about the brain called Ignorance: What We Don’t Know about the Brain. I’m not sure how many copies we’d sell, though. COWEN: If I think about mental illness, it seems that it’s hard to find chemical correlates for mind states that would normally be counted as mentally ill. Is that part of the puzzle? How does mental illness show up in the brain? Do we know anything about that? BOYDEN: This is a big mystery. There are two issues which really need to be addressed. One is that mental illnesses, for the most part, are defined by the symptoms. I have a lack of appetite, I feel apathy, I don’t feel pleasure in things that I normally do take pleasure in. Then the chemical side is also a bit murky. If we think about pharmaceuticals that treat brain conditions — it’s bathing the brain, this complexly wired circuit, in a substance. So of course, it’s going to affect parts of the brain that you want to change as well as parts of the brain that you’d rather leave alone. I think part of the problem is, we need to define brain conditions in terms of the underlying wiring and circuity. Most of the technologies we build are oriented around two classes of approach. One is, can we make maps of the brain — detailed maps of the wiring, if you will, of the brain. The other is, can you watch and control the high-speed dynamics of the brain. In other words, can you watch the brain in action and then perturb it so that you can heal the brain by speaking the natural language of the brain, which is electrical pulses. COWEN: Let’s get to optogenetics, which you just mentioned. If I understand this correctly, you can, in essence, turn on lights, control a mouse, and make the mouse run in circles. Is that an oversimplified account of what you do that’s correct? BOYDEN: [laughs] I think it’s important to point out the goal. The goal here is that, if you could precisely control neural activity, maybe you could actually repair a brain or discover the principles of how to repair the brain, which could inspire better drugs or better noninvasive brain stimulation methods. COWEN: Those are archaeans, right? Or algae? BOYDEN: Yes, algae have these. Archaea have them. They make these little molecules — proteins — that convert light to electricity. We transplant them into brain cells, and then we can control the electrical pulses of brain cells with light. COWEN: What’s the delivery method for the transplant? That’s viral? BOYDEN: This is where we got really lucky. It turns out that these solar panels are actually proteins, and proteins are encoded by DNA. So you can use all these tricks from gene therapy to deliver the gene into the brain, and then it’ll make the product, this little protein-encoded solar panel. COWEN: What are the activities right now you can make the mouse do? BOYDEN: We’ve given the technologies to thousands and thousands of research groups at this point. People have been using the techniques to study even very complex things like memory or aggression or complex emotions. One of my favorite studies was done by Dayu Lin and David Anderson and colleagues. They took a molecule that lets you activate neurons with blue light, and they put it into a region of the brain — deep, deep in the brain — and then they implanted an optical fiber connected to a laser and aimed the optical fiber at this cluster of cells. Now, what happened? When they turned on the laser, these cells were activated, and this was done in mice. The mice would become aggressive or violent. They would attack whatever was next to them, even if it was a rubber glove. What I like about these technologies is, we can start to ask questions about why does the brain do what it does. What is the nature of something like a decision or an emotion, or even something like aggression or violence, where it has ethical implications? COWEN: To be speculative, it might someday be possible that you could fix somebody’s Alzheimer’s by showing them a movie. BOYDEN: I think of optogenetics as a tool for discovering how to repair the brain, but then you can build very practical technologies to try to help people. My collaborator, Li-Huei Tsai, led a project where she used our optogenetic tools, initially, to discover a pattern of brain activity that, in mice engineered to get the symptoms of Alzheimer’s disease, would actually make them better. Then the teams went on to actually discover that, through a movie — a bunch of blinking lights and so forth — you could simulate the same pattern of activity. Li-Huei and I have now cofounded a company, Cognito Therapeutics, to effectively do human trials of movies to treat Alzheimer’s. COWEN: What’s the most likely therapeutic application that might come next? BOYDEN: Out of optogenetically inspired discoveries? COWEN: Out of optogenetics, yeah. BOYDEN: Well, there’s a lot of people who are discovering regions of the brain that you can modulate to shut down, for example, epileptic seizures. People have found that, if you stimulate the brain in certain patterns, you could actually help with Parkinsonian symptoms, again in mice. And again, it requires a gene therapy, which is expensive to deploy to humans. But if you use the information they’ve gotten by studying Parkinson’s and epilepsy in mice, and then try to build noninvasive ways of controlling the brain to repair it, I think that could translate to humans quite rapidly. In my group, Nir Grossman, who was then a postdoc in the group — we actually found a way to focus the effects of electricity deep in the brain from the outside. Imagine now that we use optogenetics to discover a pattern of activity, and then we try to induce it through noninvasive means like watching movies, hearing sounds, focusing electricity from the outside, and so forth. I think that could be a pretty good pipeline for the future. COWEN: Another area where you’ve had major contributions is expansion microscopy. What’s your basic explanation of what that does? BOYDEN: For 300 years, people have been trying to zoom into biology — lenses to see bacteria. Then about 100 years ago, people started finding out about brain cells and other interesting things. But there’s a problem. You can’t see things much smaller than the size or wavelength of light, and light has a finite wavelength of a couple hundred nanometers. Now, that might sound small, but biomolecules are much smaller. They’re a couple nanometers. They’re like a hundred times smaller than the limit of a microscope. There are tricks you can play. A bunch of people won the Nobel Prize a couple years ago for inventing super-resolution microscopes, which are very accurate. But they can be expensive and slow, and they’re hard to use to image three-dimensional objects. My group — we often start by trying to think, can we do the opposite of what other people have done? So we started thinking, what if, instead of zooming in like they’ve done for 300 years, let’s blow it up. COWEN: It’s like you inflate a part of the brain. COWEN: Then it’s easy to look at. BOYDEN: Yeah. Two then–grad students, Fei Chen and Paul Tillberg in my group — we decided, what if we could take a piece of the brain — preserved, of course; these are not living brains — and we infuse the specimens with the same kind of chemical that you find in baby diapers, a swellable polymer. If you do it just right, and you soften up the brain so that it doesn’t resist the forces that you’re going to apply, add water, the diaper material swells, and the brain will become bigger by like a hundred times or 10,000 times in volume. It turns out, we discovered, that the process is very even, and it preserves the information of how the molecules are organized. It’s just bigger. COWEN: That can help us make maps of the brain. BOYDEN: That’s right. We’ve actually taught hundreds and hundreds of research groups how to do this, and we ourselves are trying to use the technique to make entire maps of initially smaller brains, like fish and flies and worms and so forth. But if it works, we want to scale it up to mammalian brains, like mice, and then to human brains. If we can make a map of the brain so detailed that we could simulate decisions or emotions in silico, in software, I would be very excited about this because it would kind of tie into my own desires for neuroscience, which is to understand something deep about the human condition. But also, the practicality of it is that we could make very detailed maps of the brain and figure out where diseases begin. COWEN: When you say mapped, do you mean computational device? Or is it, in some more literal sense, a map? BOYDEN: Brain circuits are very densely wired electrical circuits. A brain cell will have electricity flow throughout, and then brain cells have connections called synapses which exchange chemicals. In a cubic millimeter of your brain, you have about 100,000 brain cells with about a billion connections between them. How are they wired up? That would give you a big clue about what the computation is that’s occurring. How does the information flow, and how is it transformed? What we want to do is — using our expansion technique — we want to make a map of the brain which literally would tell you where the wires are and how they’re connected to each other, but also which biomolecules are on those wires. Are some connections fast? Are some slow? Are some strong? Are some weak? To tell those things, we have to know more than the shape of the cells. We have to also know where the molecules that do the business of the neural computations — where they are located as well. COWEN: Let me ask you some questions about brains I would like the answers to. COWEN: Some of my more science fiction–oriented friends speculate about whole-brain emulation, that someday an entire brain, or something like the brain, could be uploaded into a computer, and people would live forever in some different form. How plausible an idea is this? COWEN: Would the computer feel like it is you, or you would have a simulation that would simply predict what you, Ed Boyden, would do in some situation? BOYDEN: Yeah, that’s the big question, isn’t it? I think the honest answer is, since we don’t know what consciousness is, you don’t even know for sure if I’m conscious. Maybe I’m just a very accurate robot that’s sitting here while my true self is lying on the beach somewhere, soaking up the rays. That’s kind of the big open question. There’s no consciousness meter that says, “Oh, that being is a conscious being.” There’s no way to create consciousness from scratch, as far as we can tell. I think one of the things we have to figure out is how can you detect consciousness, and how can you create consciousness? Alan Turing proposed the Turing test, where you would converse with something and you could try to decide whether it was conscious. But with Siri and Alexa and all this stuff in homes and on phones nowadays, I think everybody would agree that’s probably not enough. You need to know something about the internal state as well, but we don’t have a firm grasp on that yet. COWEN: Do we know much reliable about LSD and the brain? There are some papers claiming LSD limits depression. Should we trust those papers? Do we know nothing? BOYDEN: That’s not my area of expertise. Personally, I think that there’s a lot of interesting questions about how chemicals modulate brain circuits, and psychedelics and lots of other chemicals could have interesting effects. Another psychedelic drug, ketamine, which causes hallucinations, has actually been seeing a lot of trials recently for its effects on rapidly helping depressed patients feel better. Most antidepressants take three weeks or more to help people. Ketamine will help within tens of minutes to hours. That’s an example where a hallucinogenic drug can actually have a rapid-acting effect on a psychiatric illness. I wouldn’t be surprised if there are other interesting findings that could be brought out of this, but I’m not an expert on that area. BOYDEN: I personally find it effective. I meditate every day. I’ve been practicing a form of Internal Family Systems meditation, where you kind of treat the parts of your mind like members of a family, and show compassion for them, and thank them and love them, and they relax and become more of your ally. I’ve done this for about 10 years now, 2009. My landlady in Palo Alto, when I was a grad student at Stanford, taught me about it. It took me a while to actually get going on it, but yeah, I find it transformative because the parts of your mind that might be driving you anxious or causing despair — you realize what they’re trying to do for you. You, by loving them and showing gratitude to them, can make them on your team rather than trying to rebel against you. COWEN: How much of that do you think is placebo value, which would be fine, right? Placebos are maybe underused in medicine. BOYDEN: That’s a good question. I think that there are a lot of different ways of trying to confront everyday stressors that cause anxiety or despair and so forth. For me, I’ve played with a lot of different strategies, including other kinds of meditation that aren’t so focused on the parts of your mind. To be honest, I felt relaxed after doing those kinds of meditation, but I didn’t feel like the parts of my mind were becoming allies. That was unique — with me, anyway, and other people might differ — but with the IFS method. COWEN: There’s an old saying that we “think with our gut.” Do you attach any credence to this? Is there some broader process of computation going on when we think that’s not just in our brain? BOYDEN: Well, we’ve now realized as a community — my group doesn’t work on this yet, but it’s a very exciting area — that the brain is almost like part of an ecosystem that you could call the body, and the whole body is computing together. Maybe over the time course of several seconds, when you have an individual thought or feeling, maybe a lot of that is contained within the brain. But if you go beyond that time scale, there might be microbes in the gut that secrete molecules that can actually get into the brain and modulate complex functions, like maybe even social behavior, some people think. COWEN: Does that mean whole-brain emulation is impossible, then? You basically have to reproduce the body? BOYDEN: It’s a good question. One possibility is that, if you are emulating the brain, maybe you can run the simulation for a short period of time. But if you want to integrate all the changes that are due to the rest of the body to encompass more complex things, like long-term emotions or moods, you might call them, or memory or personality, you might have to think about the body as an ecosystem. Then there’s also the concept of extended intelligence, where I’m not just me. If I’m getting out of bed in the morning and getting dressed and having my cup of coffee, that’s one version of me. But then when I get up on a stage to lecture for my class, or if I go and hang out with friends, maybe certain parts of my personality are expressed and other parts are not. I think we all experience this all the time, where we’re part of an ecosystem of people as well. I think what’s going to happen is, we’re going to need to be able to simulate as much of the biology as possible, and then there might be a point where things kind of become unpredictable. What do we need to know next? Do we have to map out the structure of human interactions as well? COWEN: If I think about memory, is it possible that it’s more than just synapse connections, that there’s some kind of RNA-based calculation supplementing what we normally think of as memory? How well do we understand memory? BOYDEN: I think what we have learned from the history of biology is that, if a biological system could use some biological resource to get something done, it will. You bring up the question of RNA. Brain cells have one nucleus with a genome inside but thousands of synaptic connections. Does it make sense to only have genes on or off at the nucleus level? You might want to turn genes on or off at the synapse level. One of the things, actually, that our group published a couple years ago is a technology, a version of expansion microscopy, where we could actually try to map out which expressed genes are located at which synapses. We can take a brain and blow it up and then look at where the expressed genes are cached or stored throughout the brain cell. Now several groups are, I think, using such technologies to try to map out whether, indeed, all the different biomolecular types are involved with plasticity. It’s kind of early days, but previous groups — before we even unveiled this technology — had found some evidence that when you activate a brain cell, interesting transcriptional spatial changes occur. In fact, one of my favorite studies was done by a group in Utah. They found when brain cells are active, they turn on a gene, and this gene looks a lot like the coat protein of the HIV virus, the same virus that causes AIDS. Maybe even more amazingly, when a brain cell is active, it manufactures virus-like particles that can bring genetic material from one brain cell to another. It’s kind of wacky to think about it, when you actually put your mind to it. When you’re forming a memory, is your brain manufacturing HIV-like things, and you’re exchanging genetic material from one brain cell to the next? What the heck is going on? But I think that just shows how little we know about the mechanisms of brain function. COWEN: Here’s a real softball of a question. Is consciousness a fundamental feature of the universe or an illusion? Is metaphysical dualism true? BOYDEN: Ah, well, how many hundreds of years do we have for this conversation? COWEN: Where do you stand now? Let’s start with that. COWEN: No one knows, right? But you must have an opinion of some kind. BOYDEN: I try not to have opinions — which I know is impossible — but I do try to think about the approach that one could take because I’m an engineer at heart. Then the question is, what can we do about it? Here’s one thing I’ve been thinking a lot about: Suppose that, at a certain moment, I am conscious of something, and my brain has a certain state. Presumably that brain state was caused by a previous brain state, and during that previous brain state we were not conscious. Otherwise, we would have called that the conscious experience. One reason why I’m so focused on brain circuit mapping is, if we could catch the brain circuit in action as a conscious sensation or feeling comes into fruition, maybe we could understand the process of consciousness. Maybe that would give us a clue about what consciousness is, because we could understand how it arises. This is a very early-stage way of thinking about the problem, and we don’t have any data yet, really. But there are other people who have actually done some cool experiments, like Benjamin Libet and John-Dylan Haynes and others, where they asked people to — whenever they want — move their hand or do some other task. Then they image the human brain and they try to figure out what areas of the brain are active when people feel like they are making that decision. They can actually detect changes in the brain up to 10 seconds before people feel like they’re making the decision to move their hand. That’s a clue that maybe you could try to understand the process through which something comes into conscious awareness. And if we could map out the detailed circuitry — the electrical wires and the molecules along those wires that yield that — maybe we could actually try to simulate it in a computer. But this is a very early-stage way of thinking about it. COWEN: Ultimately, do you believe in reductionism — that what is the brain can be understood by physical science, and by materials, and by cause and effect the way we would understand, say, a computer? BOYDEN: If you say, can we understand the brain in terms of chemical underpinnings, I would say yes. BOYDEN: Again, I think we don’t have a good definition of consciousness in the sense that we cannot detect it through a consciousness meter, and we don’t have a creation method of consciousness engine. So the jury’s still out on that front, but I hope to study it. Science can fail. There are certain things that science can’t yet answer, like what happened before the Big Bang and so forth. But I think we have to give it our best shot. COWEN: Derek Parfit argues that perhaps we’re not even a single person. He cites split-brain experiments where, in essence, one brain turns into two, and you can then ask which is the real person. Do you have a view on the meaning of split-brain experiments? Do they teach us anything? BOYDEN: Oh, I think this is fascinating. AI pioneers like Marvin Minsky wrote about The Society of Mind, about this idea that your brain is a bunch of independent agents that can work together. In the form of meditation that I practice — this Internal Family Systems model — you actually do explicitly try to consider parts of your mind as having their own drives and their own wants and their own plans, and that helps you understand them in a way. COWEN: But is there a central “you” behind all the different wants and desires? BOYDEN: That’s a good question. COWEN: Let’s say we can extend innovations that allow brain signals to be used to control the physical world. I can think of something, and a cursor moves on a computer screen. Just selfishly, which innovation would you find the most use — that you could sit here in your chair, think of something, and it would happen? A robot brings you coffee? What is it you want — not as a scientist, as a person? BOYDEN: Great question. The thing that got me interested in confronting philosophical questions through science as a kid was about human suffering. I guess I would want a way to help make empathy possible. Right now, it’s very hard to know what somebody’s feeling in their mind. We use language to try to convey that, but it doesn’t quite seal the deal. That’s one of the reasons, some people think, why there’s so much conflict: that you can’t understand the internal state of somebody else at a true level. What if I could read out what happens in my mind, and somebody else could experience that literal state, and vice versa? This is something I’ve been thinking a lot about that I would like to work on long term, but obviously it has a lot of basic research to go into before we’re even close to ready for that. COWEN: I worry sometimes that would make things worse. I think of people on Twitter: they see what each other have to say; they like each other less. There’s some partial evidence that, if you try to mentally put yourself in someone else’s shoes, you realize that what they think conflicts with your values, and you may be less inclined to agree with them. Is it possible we have too much empathy, and we should just be more objective, more Spockian, rational calculators? BOYDEN: It also might be that we have to think of empathy in a new way. As we talked about earlier, suppose that what we are consciously aware of is being generated by some unconscious processes that happen right beforehand. Maybe when we are trying to experience empathy at a certain point in time, there are other processes in the brain that occurred beforehand that we don’t have access to. But if we could access those processes, we could have a greater kind of empathy. Some of this language is used in meditative and consciousness-oriented and mindfulness practices that try to understand compassion and empathy in a greater way. But I wonder if there’s a precise neuroscientific way to tackle such things. COWEN: There’s a report from about five days ago that there’s a new contribution coming out of Columbia for a kind of “mind vocoder,” they called it, I believe — almost a kind of mind reading — that you can read mind signals and have some notion what an individual is thinking. You’re familiar with this work? BOYDEN: I’ve been so focused on writing manuscripts the last couple days. I don’t know stuff in the last couple days in the scientific literature. COWEN: But the idea is conceivable to you. BOYDEN: Oh, yes, yes. Groups for many years have been using functional MRI, a kind of brain scanner, to read out what people are seeing. You can show somebody a movie, scan their brain, and you can statistically guess what they actually are seeing. That’s been well known, and many groups now have been refining this kind of approach. It sounds like this group has made an advance in that area. COWEN: What’s your biggest worry as to how this might be used in the future? BOYDEN: Well, neurotechnology in general presents a lot of ethical implications that I think we need to proactively start discussing and start self-regulating and start making people aware of. I think part of the problem is that people often don’t feel comfortable talking about their brains. I was on a panel once at a conference where the chair of the panel asked the audience how many of the people in the audience had used a cognitive-enhancing drug, and nobody raised their hand. Then the chair of the panel said, “You know what? Probably 20 percent of you should have raised your hand,” because they had done an anonymous poll earlier of a similar population. I think there’s a stigma about talking about the brain. I almost feel like we need a new language. I want to talk about me, but I also want to talk about my brain. Is there a new word which combines both of those words, so that I don’t have to talk about my brain in a dehumanizing sense? I also think we need to start getting neuroethics on the table. We just all heard about the CRISPR baby debacle in China. Now, of course, there are lots of people making statements about you shouldn’t do that. In neurotechnology, can we get out ahead of the problem before it happens by working together and coming up with guidelines for what we want to do and what we don’t want to do? Maybe some things we want to do, but it should be thought about in detail by an objective — or at least as objective as possible — panel that’s not connected to the work, and so forth. I’m talking to people now about what if we could get maybe a global neuroethics conference going, which would bring together the companies and the scientists, the investors and the governments, religious leaders and lawyers, and people with stakes in different parts of this, and to get that going before it is headline news that we don’t necessarily appreciate. COWEN: But is self-regulation or even public regulation a kind of myth? Maybe the innovators just always move more quickly than councils or bureaucracies. Standards tend to be set by groups. Groups are relatively slow. They’re reactive. I know people who work on algorithms. They work on credit scores. They’ve had these same conversations, and we wake up one day, and China has a social credit system which they use to control people, and it just happened, and we condemn it ex post. But isn’t that the most likely course for brain science — that a bunch of things will just happen? Many will be very good, some will be bad, and we won’t really have much of a say at the regulatory level? There are many countries, right? BOYDEN: That’s one possibility. But if you look at the history of biology — around 1975 or so, Paul Berg, who won the Nobel Prize for his work in biochemistry, convened in Asilomar, California, a bioethics conference because this is the dawn of gene cloning, making transgenic organisms that have genes that shouldn’t be there. It was a period of great distrust in political systems, maybe not unlike our time in a way as well. They decided to actually get together and figure out how to self-regulate and regulate molecular biology. Now, half a century later, this has yielded a lot of huge benefits to human health, and for the most part, they’ve been able to proactively discuss things. It’s not perfect, of course, but I think one can try to take action. Doesn’t guarantee perfection, but we could certainly put our best efforts forth. COWEN: Would it be good if we had a fairly accurate lie detector? It could read your brain waves, maybe the tone of your voice, your micro expressions, but it would be able to tell if you’re telling the truth or not, and you wouldn’t even have to consent to be hooked up to it. You’d go out on a date. You’d turn on your lie detector. It would give you feedback throughout the course of the date. Is this a net social good? If it’s bad, do we have a way of stopping it? BOYDEN: That’s a good question. I think there’s a lot of questions about lies and memories that make the question very nuanced. For example, there’s a field in memory research where they look at what’s called reconsolidation. What happens is, basically, when you recall a memory, it becomes fragile, and there are studies about how even false memories can be induced. They’ve done experiments where you show somebody something in a photograph or in a story, and then a week later you ask, “Oh, how was your experience?” It wasn’t their experience. It was in a photograph or a story. Some fraction of the people will remember it as their experience. If we start thinking about these kinds of topics that connect to everyday human experience, like lies and memories and so forth, I think we also have to delve very deeply into the underlying neuroscience so we know what we’re talking about and what we’re doing. For example, if somebody talks about something in a certain way, but it was not an intentional lie, it was a false memory — what are the subcategories of different things that people say? What about things that are coupled to external influence, like the example I just gave, where the memory was affected by an external photograph or story? Anyway, I think that we have to make sure that the science accelerates as fast as the technology. Sometimes I say that the hard part of neurotechnology is the neuro part. Maybe we’ll have the ability to scan brains and read out information with unprecedented accuracy at some point in the future, but if we don’t understand the underlying processes and what the information means, then we might do the wrong thing with that information. COWEN: In the middle of all these dialogues, we have a segment, “overrated versus underrated,” and I’ll toss out a few names of things, and you tell me what you think. You’re free to pass on any of them. Waking up at 4:00 in the morning — underrated or overrated? 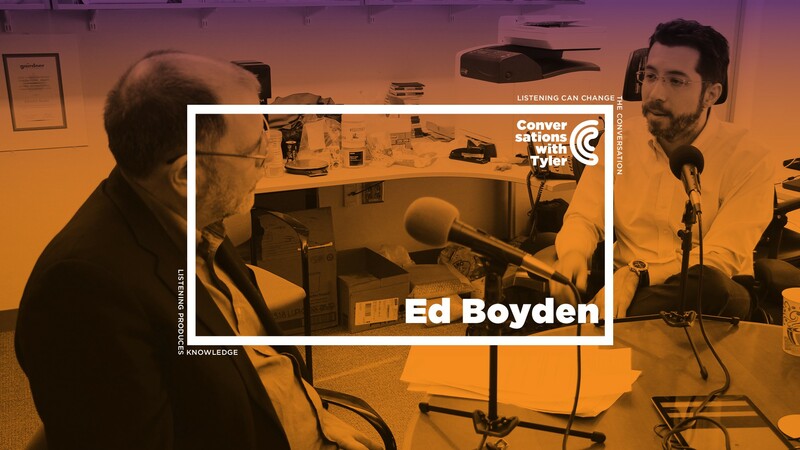 BOYDEN: For me, I get four or five hours of time to think and write without constant barrages of people emailing me or knocking on my door and so forth. I really value that time. The downside is maybe a less adventurous social life since I go to bed at 8:00 or 9:00 at night. COWEN: But people who want to work more should do it. COWEN: You’re interrupted less, right? BOYDEN: It depends on what your goal is. There are certain parts in a project where I need to be interrupted a lot because I’m putting together lots of ideas or connecting lots of people to form a massive collaboration. We just published this paper on applying expansion microscopy for whole-brain mapping a couple weeks ago. It has a zillion people on this paper, and a lot of people contributed ideas and techniques and so forth. I try to think backwards from problems and then use that to derive my path as much as possible. It’s not an exact science, but the more I can understand my goal and use that to frame my approach, the better it can be. There are times in my life when I give up this schedule. If I’m at a conference and the exciting discussions are happening late at night, I’ll actually switch. COWEN: Birdsong as music — overrated or underrated? BOYDEN: Oh, it’s funny you bring that up because working on birdsong as a neural circuit problem was my very first neuroscience experience in 1998. BOYDEN: I worked on zebra finches, which are not famous for having a particularly sweet bird song, but there are certainly a wide variety of other species that I think have more appealing songs. Yeah, there’s a lot of species-specific stuff out there. Parrots, of course, can emulate human speech, and mockingbirds can pick up all sorts of interesting patterns from their environment. I think one of the things that I really love about the space of ecological diversity is, if you think of brains as computing things, then ecological diversity might provide many ways of computing the same thing but in different ways that actually yield interesting computational insights or aesthetic outcomes. BOYDEN: Oh, octopuses are very interesting. Dolphins, of course, also have a unique form of intelligence, it’s pretty clear. The list goes on and on about ways that brains solve problems or create things, and it’s just amazing, the sort of evolutionary set of possibilities out there that remain to be explored. COWEN: Now, you’ve won a $3 million Breakthrough Prize. Using prizes for science — is that underrated or overrated? Should we do it more? BOYDEN: That’s a good question. I think of prizes as a way of storytelling. It’s a way of celebrating an achievement that makes it accessible to a broader audience. COWEN: But you also don’t have to pay out to losers, right? So you can save resources. BOYDEN: Well, on the other hand, I think that if you look at how science is evolving, with more and more collaboration and longer and longer time scales, one of the issues is that the number of people who contribute is getting larger and larger. You’ve probably seen all these controversies with CRISPR, for example, where the list of people who . . . Some people discovered CRISPR, and then other people figured out how it works, and still other people figured out that the way it worked was modular and therefore programmable, and then still other people applied it to human cells. It’s a long list of people. Now, what if we could tell the whole story in a way that allows it to be appreciated in a broad audience fashion? Part of me often wonders about storytelling as a modality for conveying the value of science. But the idea that you should limit it to a small number of people — I think it’s partly because of this limitation that it’s hard to understand a story with a hundred characters. COWEN: Neuroeconomics — overrated or underrated? BOYDEN: That’s a good question. I don’t know much about neuroeconomics. Most of my work is at the circuit level, looking at very small circuits. On the other hand, I think that anything that advances the study of human behavior, given its murkiness and complexity, is much to be desired. I’m starting to meet people in this field now, and it’s quite exciting, the idea that you could actually make a prediction on human behavior based upon some kind of insight that’s mathematically extractable from prior behavior or from brain imaging. This free-will experiment I mentioned earlier — where you can predict somebody’s behavior 10 seconds later by looking at what their brain is doing now — I find such things fascinating. COWEN: Archimedes — overrated or underrated? BOYDEN: Archimedes. I don’t know the details of who he worked with and how they all contributed to each other. But certainly, the famous stuff that he did in terms of Archimedes’s principle, and the stuff that he innovated and discovered, stands the test of time. I guess the big question is, if we actually were there and saw what people were doing, what happened in the trenches, right? Again, it boils down to some of these questions of storytelling. COWEN: He might have had many collaborators. BOYDEN: Again, the story of science, especially in this sort of prehistory era, where documentation was not as good as it is nowadays — you can’t just Google all the things Archimedes wrote down, day by day and hour by hour. We have these fragments of story. It’s hard to know. But certainly, the accomplishments have yielded untold insights into physics and mathematics and all sorts of stuff. 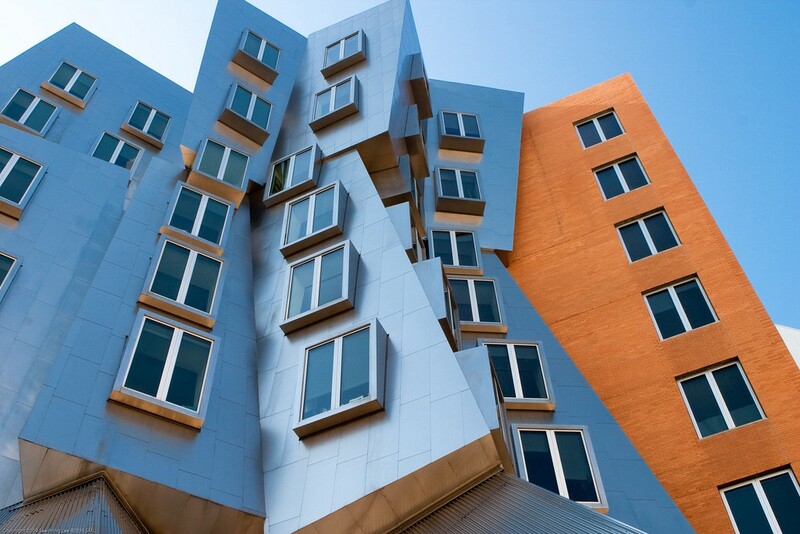 COWEN: Do you enjoy seeing Frank Gehry buildings every day when you go to work in the morning? BOYDEN: I do like that building. I park my car in the basement of that building, and when my kids were there for day care, they would . . . I spent a lot of time in that building, and I do like it. I think architecture is very important. I find architecture to be very inspiring for scientific ideas. My group started at the MIT Media Lab, and now we have half our group over here in the MIT McGovern Institute, but I used to wander the halls of campus late at night to just look at stuff, the posters in the hallway. I get inspiration by trying to connect dots from different fields or disciplines or even entirely separate, unconnected topics. I find a lot of productivity from inspirational environments and connecting dots between random things. COWEN: I do the same, I might add. Now, you were first hired here by the Media Lab, is that correct? COWEN: They were a different ecosystem, and they saw some reason to hire you, where other groups didn’t see the same reason. BOYDEN: Yeah. I was writing up these faculty applications to propose to set up a full-time neurotechnology group — let’s control the brain, let’s map the brain. At the time, the majority of the places that I applied to for faculty jobs actually turned me down. COWEN: A job opening for what? In the old days, of course, the Media Lab did media. 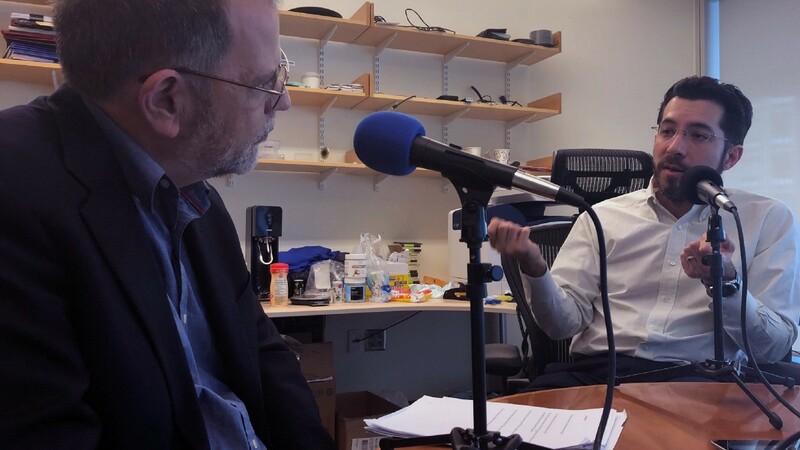 But now media is everywhere, and a lot of the newer hires at the MIT Media Lab are working at the intersection of a life science and some other kind of science, like Kevin Esvelt, who’s trying to build CRISPR gene drives to edit ecosystems and also thinks about the ethics and the politics and the sociology. It’s a great place for people between one field and another where there’s sort of some space. But you know what? It could be an entire new discipline. Now, flash forward 12 years later, we actually started a center for neuroengineering here at MIT that I co-direct. COWEN: Is it correct that you also teach in the business school? Or you have? COWEN: What do you do, and why do you do it? BOYDEN: Many, many years ago, when I was a student at MIT, Joost Bonsen — who was then also a student — and I were brainstorming about an idea about a neurotechnology class that would train people how to get ideas out of the lab and into the world, so that brain technology is more than a list of publications. It’s going to eventually become, initially, tools for, say, the scientific market, but later tools that could go to the medical market and maybe, eventually, tools for the consumer. One of the first things that we did when I got back to MIT as faculty was to start a class with the MIT Sloan School of Management and also a bunch of scientific, engineering, and other departments — it’s cross-registered amongst all these different schools here — which is about that very topic, Neurotechnology Ventures. Now we’ve broadened the class to call it Revolutionary Ventures because we realized that a lot of the ways we thought about neurotechnology could apply to other fields that could also benefit from a big jolt in the arm, like alternative energy or other parts of healthcare and so forth. We have about 30 students or so take the class each term. We teach it every fall. COWEN: What is it you learn from your business school students that you don’t learn from your science students? BOYDEN: Well, I try to learn from everybody. COWEN: But it’s different things, right? BOYDEN: I think I learn more different things from different individuals than from the categories of people because some of the people who come to take the class are . . . They might have been an executive in a big company before, and I might learn something very deep about how to lead a team, whereas somebody who is a new business student, or even a business undergrad, might have some untested ideas but not that deep bench of experience that a seasoned executive would. I think I learn more from individuals and their variability than from categories of people. For example, in our group at MIT, I have two PhD students. Neither finished college, actually. I can’t think of any other neuroscience groups on Earth where that’s true. COWEN: And you hired them. COWEN: Knowing they didn’t finish college. And that was a plus? Or, “I’ll hire them in spite of this”? BOYDEN: Well, one of them had been a Thiel fellow and then decided that it could be good to have an ecosystem in academia to support a long-term biotechnology play, and it’s hard to do biotechnology all by yourself. The other was a college dropout who was working as a computer tech support person next door, and both of them are now leading very independent projects. Again, I try to look more at the individual, and I try to get to know people over a long period of time to learn what they’re good at and how they can maybe make a contribution based upon their unique experience. That’s different from what people have done traditionally. COWEN: Is there a style of West Coast science different from East Coast science? Are there things you can learn better out there in California? BOYDEN: I think there’s so much crosstalk nowadays. I read a statistic that 40 percent of the professors at MIT trained at one point in their career at Stanford, Harvard, or MIT. So there’s a lot of crosstalk that goes back and forth. I think one of the themes in science is that you end up learning different things and bringing multiple things to bear. In terms of how the venture capital side of science and the startup side of science go, I think there might be some differences. COWEN: What would those be? BOYDEN: That’s a good question. Again, this is not my area of expertise because I’m relatively new to entrepreneurship. It’s only over the past couple years that I’ve really been pushing hard at starting companies. But it does seem like many East Coast investors are — like Third Rock Ventures, for example — they like to build companies putting together many cofounders and so forth. Maybe on the West Coast, there’s more of a founding team — let them drive it, maybe invest in a more passive model. Again, this might be me new to this whole world, but having now talked to a few people, it seems like there are definitely differences in the personality, at least on the investing side. COWEN: That’s consistent with my experience. How should we improve the funding of science in this country? BOYDEN: I like to look at the history of science to learn about its future, and one thing I’ve learned a lot over the last couple years — and it’s even happened to me — is that it’s really hard to fund pioneering ideas. Brian Kobilka, who recently won the Nobel Prize for solving the structure of the G-protein-coupled receptor — and for context, one-third of all drugs target this class of molecules, so it’s a very, very important class of drugs — he lost his funding because he wasn’t making progress fast enough. If I recall, he had to moonlight as an emergency room physician to keep going on his research. Doug Prasher, who cloned the gene for green fluorescent protein, which has been used in something like a million biology studies, ballpark — he lost his funding and eventually left science, ended up driving a shuttle bus for, I believe, a rental car facility or something. Anyway, there’s so many stories. For me, it became personal because when we proposed this expansion microscopy technology, where we blow up brain specimens and other specimens a hundred times in volume to map them, people thought it was nonsense. People were skeptical. People hated it. Nine out of my first ten grants that I wrote on it were rejected. If it weren’t for the Open Philanthropy Project that heard about our struggles to get this project funded — through, again, a set of links that were, as far as I can tell, largely luck driven — maybe our group would have been out of business. But they came through and gave us a major gift, and that kept us going. BOYDEN: Yeah, three thoughts. The first thing that I thought a lot about — studying these past cases and then going through it myself — is thinking about peer review. What is peer review? When you propose a project, a bunch of your peers will then critique it. The problem that a lot of these daring-sounding projects encounter is that they sound bad during peer review because they’re so off the wall, or they bring together multiple fields that maybe nobody’s qualified to evaluate them. One thought is, what if — instead of taking people’s opinions and then just sort of combining those opinions, and then, okay, you’re in or you’re out in terms of getting the money — what if we take a step back, and we think about why the peers are thinking this way? If somebody critiques a proposal, but they’re doing it from a vantage point that doesn’t see a certain part of the proposal as valuable because they’re missing an underlying piece of knowledge, or they’re evaluating a proposal — based upon opinion — that, if we think about the logical underpinnings of it, the rationale is actually pretty solid in terms of its being linked to ground-truthable sciences, like physics and chemistry. In other words, if we take a step back and apply more logical principles of evaluation to the outcomes of peer review, can we actually improve the ranking of these proposals? This is something I’m thinking a lot about right now. As I evaluate people and evaluate ideas that people propose to me as well, I’m trying to hone those skills in myself. That’s one of the three things I would do. COWEN: How much more productive could science be on a per scientist basis? Let’s say you could redesign everything: refereeing, universities, how grants are made. Can we double the progress of science? Just boost it by 10 percent? It seems science is slowing down in many ways. BOYDEN: Do you want me to answer that question? Or I have two short takes also about how to change the funding. COWEN: Two short takes. Then get to that. BOYDEN: Okay, just very briefly. The second thing I would do is to be more dynamic in my funding. Right now, maybe there’s a grant that you apply for, and then a year later you get the money. But what if somebody tries something out one Friday afternoon, and whoa, that could cure disease, or that could yield an amazing new insight into biology, or that could allow us to diagnose brain diseases early, or whatever? Why wait a year? What if one could dynamically allocate funding up and down based upon the real-time metrics of science? In my own group, sometimes we get a project out of the blue, and hey, that’s pretty cool. Then we’ll dynamically try to understand if we can reallocate resources. That’s another thing I would do. The third thing I would do is I would go looking for trouble. I would go looking for serendipity. If you look at CRISPR for genome editing — that was found by some scientists working on yogurt. If you look at fluorescent proteins — that was identified by a person who just was obsessed with jellyfish. In my own field, if you look at our optogenetics work or our expansion microscopy work — these fields owe a debt to basic curiosity about critters living in bodies of water for optogenetics, and expansion microscopy goes back to the 1980s where people were wondering why do certain polymers swell so hugely, with no practical-purpose implications of it. One idea is, how do we find the diamonds in the rough, the big ideas but they’re kind of hidden in plain sight? I think we see this a lot. Machine learning, deep learning, is one of the hot topics of our time, but a lot of the math was worked out decades ago — backpropagation, for example, in the 1980s and 1990s. What has changed since then is, no doubt, some improvements in the mathematics, but largely, I think we’d all agree, better compute power and a lot more data. So how could we find the treasure that’s hiding in plain sight? One of the ideas is to have sort of a SWAT team of people who go around looking for how to connect the dots all day long in these serendipitous ways. COWEN: Does that mean fewer committees and more individuals? COWEN: But should the evaluators be fewer committees and more individuals? The people doing the work will always be groups, but committees, arguably, are more conservative. Should we have people with more dukedoms and fiefdoms? They just hand out money based on what they think? BOYDEN: A committee of people who have multiple non-overlapping domains of knowledge can be quite productive. What if I brought together to evaluate a proposal, and I have a physicist who can tell me, “You know what? That amount of energy won’t kill the brain.” Then I have a biologist who says, “You know what? That’s a really important problem.” And then a chemist who would say, “You know what? That molecule probably won’t be toxic.” You actually need a committee to judge some of these ideas. COWEN: Is progress in science slowing down right now? BOYDEN: That’s a good question. I think what’s happening is we’re tackling bigger problems. Let me explain what that means. In physics, there’s a small number of building blocks, like protons and electrons, and a small number of ways they interact, like electromagnetism and so forth. Chemistry — there’s more stuff. There’s a hundred-odd things in the periodic table, although maybe there’s only 30 to 50 that you actually have to work with if you’re trying to make something actually happen. Again, there’s a small number of bonds: covalent and ionic and so forth. I think the problem right now is that a lot of the scientific questions we’re wrestling with, whether it’s in biology and medicine — but I’m not an expert in this; you know more about some of these things than I do — but in economics and education and so forth, it also seems like — from my distant view — some of these problems relate to this idea that there’s a lot of different building blocks and a lot of ways they interact. In biology, we have what, 30,000 genes in the human genome, and while we know their sequence, for the most part, we have no idea how these gene products interact with each other, and how they’re architected into cells and tissues and organs, and how those go wrong. The problem is this cognitrone explosion of possibilities is so staggeringly huge that a lot of what we try will fail. What do we do about it? One point of view is, “Well, if we had better tools, and we could map those building blocks and those interactions, maybe we could reduce the risk of biomedical science.” Again, it’s not my field. You know more about this than I do. I’d love to hear your opinion. But in economics and in other fields, it also seems like people are trying to make better maps of things and how they interact. That’s one idea. What if we could make these problems . . . Progress might seem to be slower because the problems are so hard. But with better tools, maybe we can level the playing field and make 21st-century sciences more tractable, in the same way that 20th-century sciences gave us lasers and computers and the internet. COWEN: In economics, we have more good empirical papers than ever before, but virtually no more theoretical breakthroughs, and I’m not sure we’ll ever have them again. COWEN: That may just be diminishing returns. There are so many fundamental ideas, and you learn those, and you stop, and then you measure things. BOYDEN: Hmm. Well, in biomedicine, systems didn’t evolve to be understood. They evolved to survive and reproduce and all that. One can hope for structure. Biology does give you more structure than we deserve, I think. DNA has a double helix, and you can read out the genetic code. There’s always this question of why is the universe understandable in the first place, and maybe now we’re entering the realm of complexity where things are less understandable. But again, we have to accept reality for what it is. COWEN: One of my readers suggested I ask you about “the approaches to problem solving, problem decomposition, and backward chaining that he teaches his grad students and postdocs.” Does that make sense to you? COWEN: It’s good to talk fast on a podcast, right? People can change the speed, too. BOYDEN: That’s true. Okay. Okay. A lot of people, of course, have built tools for biology over the years, but not all the tools have been equally useful. So one of the things we do is to think backwards from a problem so that when we build the tools, we actually can solve the problem. With optogenetics, the problem was, how do you control the brain to repair it? With expansion microscopy, the question was, how do we make a map of the brain that’s precise but scalable? Thinking backwards from major problems is really, really important. How do you actually then do anything about it? One strategy we try to do is to think of every possible idea of how to solve the problem. With optogenetics, my co-inventor Karl Deisseroth and I — when we were both students, we just started going through all the laws of physics. How would you control the brain? Well, there’s only so many kinds of energy. There’s mechanical force. There’s magnetism. There’s light. The list is pretty short, actually. You can actually try to write down every possible way of doing it. I call this method the tiling tree method, where you try to take this base of possibilities and break it down into parts. If you draw it properly, it looks like a tree diagram. Here’s this base of possibilities split into two parts, and each of those splits into more parts, and eventually it covers a page. It looks like a tree, and then the leaves of the tree — the bottom nodes — are ideas you could actually test by doing a literature search or doing an experiment. A lot of our projects, actually, at some point or another involve this kind of can-we-think-of-every-possible-idea approach. We did not pioneer this. Fritz Zwicky called this morphological analysis in the 1930s, and he claims to have thought up dark matter and gravitational lensing and a lot of these hot topics in astrophysics that are being investigated today. But of course, he thought these up almost a century ago. He claimed to have thought up these ideas through this sort of tiling-tree or morphological-analysis kind of approach. COWEN: For our final segment, I have a few questions about what I call the Ed Boyden production function. This is about you. How old were you when you started college? BOYDEN: Around age eight or nine I got obsessed with this question of can we address the meaning of life through science, and it made me very ambitious and hard-working and focused. I started college, and I started working on this origins of life project when I was only 14. I went to a program at the University of North Texas, where they take people kind of young, so a lot of my classmates were 16 years old. It was great to kind of jump directly into science. I grew up in a suburb of Dallas, Texas, which didn’t have a lot of scientific stuff going on at the laboratory or research level, so actually getting to jump into science was just transformative for me. COWEN: So more people should do this, you think. BOYDEN: That’s a good question. It’s not for everybody, but here’s how I think about it. BOYDEN: Here’s how I think about it. A lot of us have sort of a skill phase of our career, where we’re learning how to program computers, or we’re learning how to machine metal, or we’re learning how to do mathematics. Then at some point, you want to go solve a problem. I call that the impact phase. Some people go start a company or join a research group or whatever. What I realized was that, for me, the skills I wanted to learn and the impact I wanted to do really required me to get my hands dirty, get into a laboratory and start playing around with real matter. But if somebody’s more mathematically inclined, you might not need to go into a laboratory. Lots of great people do mathematics on their own. BOYDEN: It’s a good question. On the plus side, I think I got a lot of very good groundings in fundamental sciences. That was very important because now I can think about the brain in terms of physical principles or chemical tools or engineering thoughts. On the other hand, it’s kind of a slow process. I was an undergrad for six years. I think the world’s much faster paced nowadays than it was 25 years ago. Also, we have new hybrid interdisciplinary majors. One of the majors that I advise at MIT is biological engineering, which is only like a decade old, maybe a little bit more. You can now go to college and major in a discipline which will combine some computer programming and some chemistry and some physical modeling and so forth. Again, a theme of what I try to do as a professor is, “Can we do on purpose what previously we did accidentally?” So one thing I try to do is to help people craft curriculums that are optimized for what they want to do. Sometimes that means prescribing mixing and matching that helps people sort of go in their own direction. I kind of designed a little custom curriculum for them, where it’s like you need to know some physics, but frankly, gravity waves — you don’t need that if you’re studying the brain. Then you need to know some chemistry, but this kind of chemistry — that might be not so important. Mathematics, too. There’s some parts of mathematics that are absolutely essential, but other parts — you probably don’t need that right away in brain science. I kind of designed a little custom curriculum. Maybe in a year or two you could get up to speed by learning what’s most important. COWEN: Other than waking up at 4:00 a.m., what is a personal work habit you have that should be taken more seriously by others or that you would recommend to at least some people? BOYDEN: I try to treat my own career as an experiment. I try to learn what am I good at? What am I not good at? What do I like? What do I not like? COWEN: Who tells you, or how do you measure it? What do you actually do? BOYDEN: I experiment a lot on my own life, I guess. For example, this whole waking up early thing I arrived at by experimenting a little bit. The way that I manage time I arrived at through lots of experimentation. For example, I keep a calendar of future plans. Many people do, but then I also keep a calendar of the past, which logs how long it actually took for me to write that grant, or to meet with that person, or to eat dinner, or whatever. Over time, I’ve learned a lot about how long it takes me to do something. COWEN: Do you over- or underestimate how long it takes you to do things? BOYDEN: I started really keeping this calendar of the past not that long ago, maybe 2014-ish. But in the last five years, I’ve gotten much better at estimating how long it takes me to do something, and that makes me a much better time manager for my future tasks. COWEN: Two last questions. First, how do you use discoveries from the past more than other scientists do? BOYDEN: One way to think of it is that, if a scientific topic is really popular and everybody’s doing it, then I don’t need to be part of that. What’s the benefit of being the 100,000th person working on something? So I read a lot of old papers. I read a lot of things that might be forgotten because I think that there’s a lot of treasure hiding in plain sight. As we discussed earlier, optogenetics and expansion microscopy both begin from papers from other fields, some of which are quite old and which mostly had been ignored by other people. I sometimes practice what I call failure rebooting. We tried something, or somebody else tried something, and it didn’t work. But you know what? Something happened that made the world different. Maybe somebody found a new gene. Maybe computers are faster. Maybe some other discovery from left field has changed how we think about things. And you know what? That old failed idea might be ready for prime time. With optogenetics, people were trying to control brain cells with light going back to 1971. I was actually reading some earlier papers. There were people playing around with controlling brain cells with light going back to the 1940s. What is different? Well, this class of molecules that we put into neurons hadn’t been discovered yet. COWEN: The same is true in economics, I think. Most of behavioral economics you find in Adam Smith and Pigou, who are centuries old. BOYDEN: Wow. I almost think search engines like Google often are trying to look at the most popular things, and to advance science, what we almost need is a search engine for the most important unpopular things. COWEN: Sometimes I try doing searches. I take the words I want, and then I throw in a random word that is not related at all, and I try googling that, or through Google Scholar, and I see what comes up. BOYDEN: Absolutely. I do that a lot, too. That’s one thing where I really value those six years I spent learning a bit of chemistry and a bit of physics and a bit of electrical engineering, because it allows me to stitch together some facts from different fields, and that can be very helpful for launching a new idea or judging whether an idea’s actually worth pursuing. COWEN: Last question. As a researcher, what could and would you do with more money? BOYDEN: Well, I’m always looking for new serendipitous things, connecting the dots between different fields. These ideas always seem a bit crazy and are hard to get funded. I see that both in my group but also in many other groups. I think if I was given a pile of money right now, what I would like to do is to find a way — not just in our group but across many groups — to try to find those unfundable projects where, number one, if we think about the logic of it, “Hey, there’s a non-zero chance it could be revolutionary.” Number two, we can really, in a finite amount of time, test the idea. And if it works, we can dynamically allocate more money to it. But if it doesn’t work, then we can de-allocate money to it. If I think about optogenetics or expansion microscopy, or these other techniques that we’ve been talking about, the amount of money that we actually invested in it to get it going was not that much. They were actually fairly inexpensive projects. Then finally, I would like to go out and treasure hunt. Let’s look at the old literature. Let’s look at people who might be on the fringes of science, but they don’t have the right connections, like the people who I talked about earlier. They’re not quite in the right place to achieve the rapid scale-up of the project. But by connecting the dots between people and topics, you know what? We could design an amazing project together. 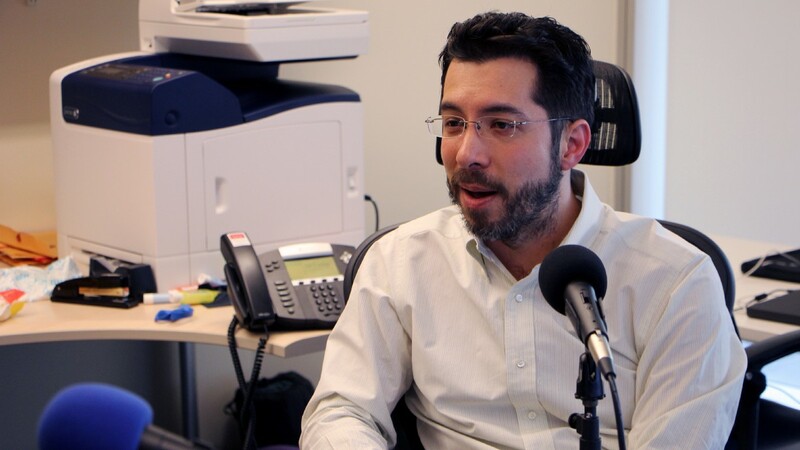 COWEN: Ed Boyden, thank you very much. BOYDEN: Thank you. It was great talking to you.